As Alice Waters' famed restaurant turns forty, we contemplate its continued relevancy. The walls at Chez Panisse are covered with past menus. Hours: Lunch: Mon.-Thu. 11:30 a.m.-3 p.m.; Fri.-Sat. 11:30 a.m.-3:30 p.m.; Sun. closed. Dinner: Mon.-Thu. 5-10:30 p.m.; Fri.-Sat. 5-11:30 p.m.; Sun. closed. My dad lived his first years in a San Francisco housing project, then spent his working ones as a grocery clerk at a series of Safeway stores in the city and beyond. Eating in fine restaurants was a civilizing act for my father, like putting on a suit or trimming his nose hairs, something that accrued dignity and self-respect. Over the last couple of decades of his life, no place was as civilizing for him (a guy on the payroll of the very sort of fluorescent-lit, crap-food supermarkets 67-year-old Alice Waters has spent her life trying to make obsolete) as the glowing, wooden aerie up the narrow staircase at Chez Panisse. The restaurant that formed the nucleus of the original Gourmet Ghetto turns forty on August 28, capping forty weeks of tribute menus from forty cooks and authors who sparked something in Waters over the years. The anniversary culminates in a sprawling series of events that weekend, including Eating for Education, a series of dinners being staged in both restaurants and private homes to benefit various Edible Schoolyard initiatives. 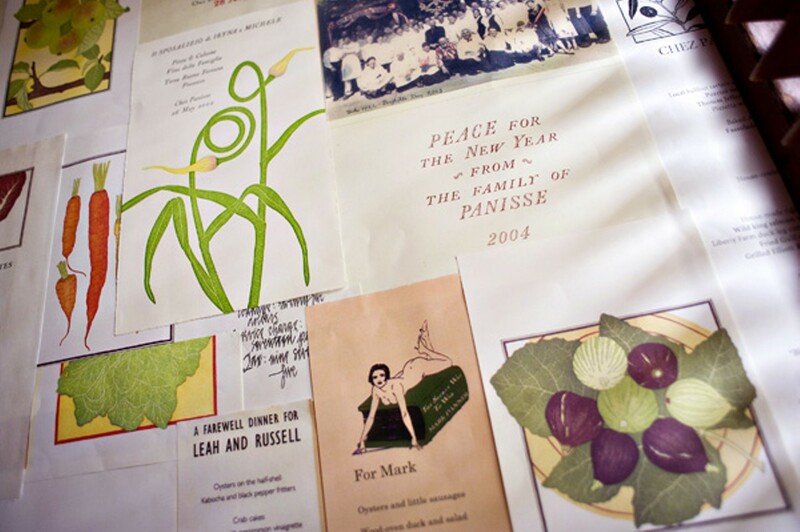 At its core, Chez Panisse is a place that offered a blueprint for how food could end up great. Not great in the sense of rarefied, or even highly tasty, but great in its capacity to enact a particular notion of the world. In two-plus decades I've had a couple of meals at Chez Panisse I'd tag as brilliant, a few others I'd rate semi-inspired, and two or three that fell flat. But even the mediocre ones seemed deeply felt somehow — the precision in the dice of perfect vegetables in a minestrone whose clear broth presented a marred thesis, the musky snarl in delicate little Alpine strawberries scattered around a slice of some ice cream bombe unable to shoulder its fruits' essences. Even the failures offered some glimpse of Chez Panisse as the nexus of a complex ecosystem, one linked to professional farmers and fishermen, of course, but also to hippies who showed up at the backdoor with a box of fragrant, red-fleshed peaches they'd culled from a withered tree somewhere; to Berkeley backyard gardeners with raised beds of peppercress or antique strains of lettuces regularly bartered for meals; to the moonlighting dishwasher with a passion for levain. The house on North Shattuck was the first restaurant of its generation to build a rationale for its own existence beyond mere profit, a philosophy that considered the authenticity of its sources — the intentional nature of its raw materials — as much (or more than) the nature of its sauces. 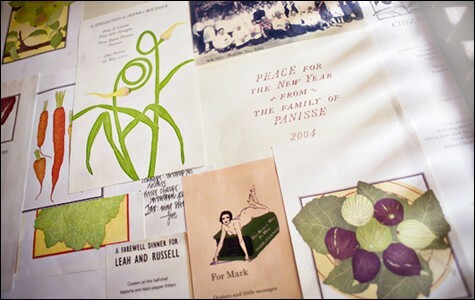 Ultimate proof: It was damn near impossible to cook from those early Chez Panisse cookbooks, with their ingredient lists of ramps and chervil and squab carcasses, hard to find commercially even in San Francisco in the days before Bi-Rite and the Ferry Plaza farmers' market. Chez Panisse was a place organized around sincerity, the notched stick against which to mark the scale of other restaurants' aims. The French Laundry, Manresa, Benu: The skills quotient shining through successive generations of Northern California restaurants has been astonishing, with a beauty and a polish that gleams harder than Waters' restaurant was probably ever capable of. Still, it's hard to resist pulling out that notched stick to judge the genuineness of those and other restaurants, some quality of sincerity honed decades ago in the house of Panisse. Does the sincerity still exist? I found myself ordering lunch last week in the upstairs cafe, now in the hands of co-chefs Beth Wells and Cal Peternell. Waters had just spent three nights papering the walls with old menus, both originals and color copies from the restaurant's archives: the menu for Marion Cunningham's eightieth birthday, another in honor of Slow Food Nation, one titled "A San Francisco Dinner in Celebration of Hillary Clinton," and more Bastille Day garlic fetes than you'd think four decades could contain. The effect: handsome, like a wine cellar papered with labels of bottles long drained, but also a bit startling, like yanking open the drawer of a flea-market dresser to find a stack of letters from its deceased owner. The table next to mine had a couple in their thirties, squabbling about whether or not the woman had saved precisely half or less than that of her grilled, fig-leaf-sheathed salmon for the man to taste. At the table across, a couple of old guys — about the age my dad would be now — in tennis shorts and calf-high athletic socks, grousing that the French press coffee wasn't quite as hot as it could have been. Me, I ordered a couple of iconic Panisse dishes. In the first, a couple of warm, soft lumps of goat cheese flocked with crisp breadcrumbs sat next to a salad of frisée and red-streaked lettuces so fresh you could sense the presence of the water they'd been irrigated with, shiny from a vinaigrette in which salt and olive oil predominated. It was a bit better than I remembered — the Andante Dairy goat cheese had more complexity of flavor than the Laura Chenel chèvre the restaurant used for years. The pizza? Its crust was less satisfying than I recalled, paler and less breadlike, though the topping — blistered leaves of sorrel, oven-darkened anchovy filets, a sprinkling of what I think was Aleppo pepper, and a single, just-set egg in the center — offered a glimpse of classic Chez Panisse more impressive, even, than what was papering the walls. The sorrel (just shy of achingly tart), the sting of salt sea in the anchovies — egg was the dulcifying agent that softened them, once I used my knife to gild much of the pie. It was a pizza with intelligence, an appreciation for the rustic, and, above all, an impeccable sense of balance. I lifted my pint glass of Ale Industries' 24 East Lager and, discreetly as I could in a crowded dining room, raised a toast to the ghostly menu wall across the way. Here's to you, pop.